Oven Cleaning Domestic & Commercial Kitchen Surrey GU | Quality Property Care Ltd.
Every one needs a fast and reliable professional oven cleaning! Quality Property Care Ltd. offers it at a reasonable price and without any impact on your healthy lifestyle! Don't wait to get your domestic and commercial oven cleaning on 020 3746 4287 on every day of the week including on weekends or holidays! Our reliable professional oven cleaning company many years of experience in the expert cleaning services. 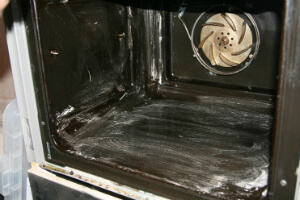 By using the latest cleaning techniques and detergents we have developed the right formula for fast, faultless and eco-friendly oven cleaning services in Surrey GU. Upon request, Quality Property Care Ltd. technicians can also provide you with cleansing of your whole kitchen. If your kitchen needs only an oven cleaning service, we can offer you more cleaning services for your home: carpet and upholstery cleaning, end of tenancy cleaning, window cleaning and more. Bare in mind: customers, who order several services at once get a great special promotion! Speak to our polite customer representatives today! This is a service that allows us to properly clean your freezer or fridge, from the inside and outside. To start of we inspect the fridge and see what exactly needs to be done and cleaned. Every part that can be detached is removed and cleaned separately. We use a eco-friendly solution to remove any stains and leftover food particles. It prevents and removes mould growth and bacterial growths inside fridges and freezers. Each part , when it is fully cleaned, is put back inside and the fridge and freezer are left to dry. Once completely dry they can be used straight away. Barbecues and grills tend to accumulate a great deal of food on them. A lot of burnt meat is left if not cleaned afterwards. This build up of carbonized matter releases gases during the cooking. It enters the food and makes it taste much more different. We soak the removable grill and barbecue parts to eliminate any leftovers and grease. Once everything is cleaned, it is reassembled. The grill and barbecue are ready for usage. If you want to see your oven shiny and to eliminate its bad odour, our hassle-free oven cleaning service in Surrey GU from Quality Property Care Ltd. is the best option for you. It is finely performed by well-trained, educated and experienced oven cleaners. They are fully vetted and insured. Even if you leave them alone in your house, don't worry: your personal belongings are secured. The skillful oven cleaners work fast and can be re-scheduled for no extra fee within a decent period after your booking. 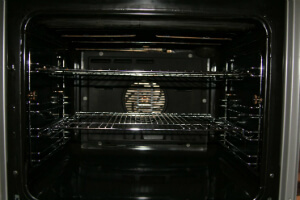 We are understanding and flexible, so we promise to set up professional oven cleaning in a most convenient for you way! We clean extractor filters, racks, control knobs, trays, fans, pans and panels. Booking a thorough oven cleaning service has never been faster and easier. The customer care service is waiting for your phone on 020 3746 4287 or for your online booking form. You will be charged with no deposits or hidden fees for the service. Same day booking is available. You can arrange your oven cleaning for any day of the year, including bank holidays and weekends, with no additional charges.